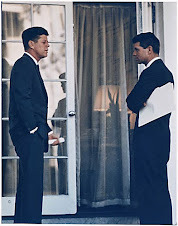 Among the myths that have persisted 50 years after the assassination of John F. Kennedy, one of the most enduring is that the Kennedy family has shunned Dallas. Sen. Ted Kennedy, the president’s brother, notably declined to set foot in the city for the remainder of his life. But other family members, mostly of the younger generation, have come here frequently. Robert F. Kennedy Jr., a nephew of the president and son of the slain senator, has been here twice this year. Kathleen Kennedy Townsend, an RFK daughter, has been in Dallas several times over the decades, including at a dedication of a school athletic field in 2008. Just this month, Mark Shriver, another JFK nephew, was in town to discuss his biography of his father, Sargent Shriver. Patrick Kennedy, son of Ted Kennedy, has held at least one congressional fundraiser here. Even so, the feeling of unease never completely vanished. 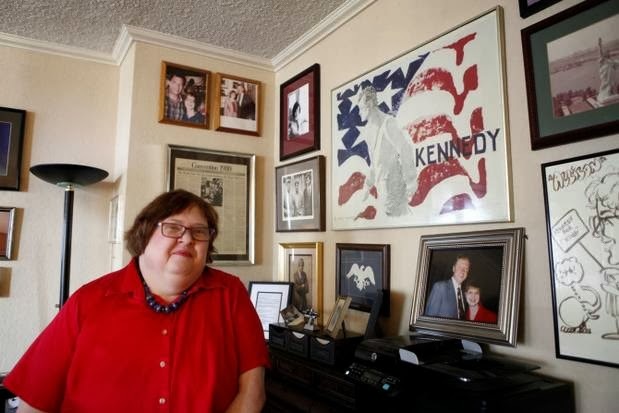 Alison Cheney, a Kennedy family friend who lives in Dallas, said some family members visiting the city have accepted offers to tour Dealey Plaza and the Sixth Floor Museum. Others have declined. For years, the city and the Sixth Floor Museum at Dealey Plaza declined to participate in anniversary commemorations of the assassination — citing concerns of the Kennedy family. In retrospect, however, the opening of the museum in 1989 may have represented a turning point in the long, complicated relationship between Dallas and the Kennedy family, Cheney said. “Ted Kennedy never said anything against Dallas — never,” Cheney said. But initially, there was undoubtedly some bitterness. The family felt that political conditions in Dallas may have contributed to an atmosphere that nurtured violence, she said. Cheney recalled the famous advertisement in The Dallas Morning News the day of the assassination that was sharply critical of the president. Cheney’s connection with the Kennedys began in a chance meeting with the president on the morning of his assassination. She was just under 3 years old. She had been taken to watch the presidential motorcade by her mother, Nancy Cheney, a fan of the president. Nancy Cheney, 83, still lives in Dallas but was unavailable for an interview because of poor health. She had recounted the moment in detail in an extensive 1994 recording that was part of the Sixth Floor Museum’s oral history project. Mother and daughter were standing on the curb near the corner of Lemmon Avenue and Lomo Alto Drive when the presidential limousine stopped in front of them. Nancy Cheney lifted up her daughter to see the presidential party. “And I said to Alison, ‘Throw him a kiss.’ Well, the president heard me, and he looked up at her and he patted her on the cheek … and said, ‘Hi, baby,’” Nancy Cheney said in the 1994 interview. Over time, mother and daughter became increasingly active in Democratic campaigns, especially those of the president’s younger brother, Ted Kennedy. Taking a leave from college, Alison Cheney worked as an intern in the senator’s Washington office. The two women became close friends of the family, frequently visiting Ted Kennedy’s homes in New York, Virginia, Florida and Massachusetts. 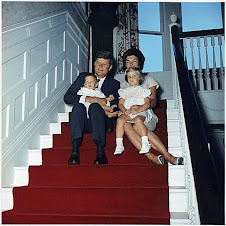 Some Kennedy family members, chiefly nieces and nephews, reciprocated with stays at the Cheneys’ Dallas home. Alison Cheney said that they usually maintained a very low profile while here. Those who went to Dealey Plaza did so quickly and with no fanfare. 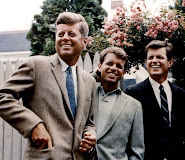 “Part of the problem is that the Kennedys all look alike. There was a feeling that they would be recognized and hassled,” she said. When, in the early 1980s, an exhibit devoted to the assassination was proposed for the former Texas School Book Depository building, Nancy Cheney was deputized by the project’s backers to sound out Ted Kennedy. Nancy Cheney assured him the project would be tastefully realized, and the senator agreed to the idea. 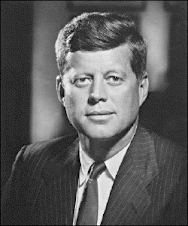 Although an official of the John F. Kennedy Presidential Library and Museum in Boston at the time called the Dallas plan “grotesque,” no family member ever publicly criticized it. Alison Cheney believes public reaction to the museum may have helped ease the relationship between Dallas and the Kennedy family. When the exhibit opened in 1989, a trusted family aide was sent to Dallas to check it out. She left with a favorable impression and a request, Alison Cheney said. Deeply touched by comments in the remembrance book, the aide asked that they be copied and sent to Ted Kennedy. Soon after, Cheney attended a St. Patrick’s Day party on Cape Cod. Other signs of reconciliation followed. In 1991, the opening reception of the American Society of Newspaper Editors was scheduled for the JFK Library in Boston. Burl Osborne, The News’ publisher and the president of ASNE, invited Caroline Kennedy, the president’s daughter, and Ethel Kennedy, widow of Robert F. Kennedy. John Seigenthaler, publisher of the Nashville Tennessean and a former official in the Justice Department under Robert Kennedy, served as a go-between. Both women accepted. The arrangement meant that two of the women closest to the slain president would be standing in a receiving line with Osborne — and with Robert Decherd, CEO of The Dallas Morning News’ parent company — who represented a newspaper that once was among JFK’s most bitter critics. In an interview shortly before his death in August 2012, Osborne said the symbolism was lost on no one. “Part of what we were hoping is that it would be a sign of reconciliation with the family,” he said. Decherd said that perhaps as a result of that reception, Anthony Shriver, one of JFK’s nephews, set up a nonprofit organization in Dallas devoted to developmentally disabled youth, spending long periods in the city during the 1990s. Another public act of reconciliation occurred in 2003, when the Dallas Symphony Orchestra announced it would commemorate the 40th anniversary of the assassination with a performance of Leonard Bernstein’s Mass. The work originally had been commissioned by Jacqueline Kennedy, the president’s widow, for the 1971 opening of the John F. Kennedy Center for the Performing Arts in Washington, D.C. Although no member of the Kennedy family is expected to be in Dallas next month for the official commemoration of the assassination, the event’s organizers have said they have kept family sensibilities in mind. Ruth Altshuler, who heads the event’s organizing committee, said David McCullough, the author and historian who will serve as principal speaker, contacted Caroline Kennedy before accepting an invitation to appear. As time goes on, Cheney said, each generation of the Kennedy family — like the general population — is likely to view the assassination as a historical rather than a personal event. “But for those who are still around and old enough to remember, it will always be difficult,” she said.